The HiPer VR is compact, light and packed with the most advanced GNSS technology in a design built to withstand the harshest field environments. 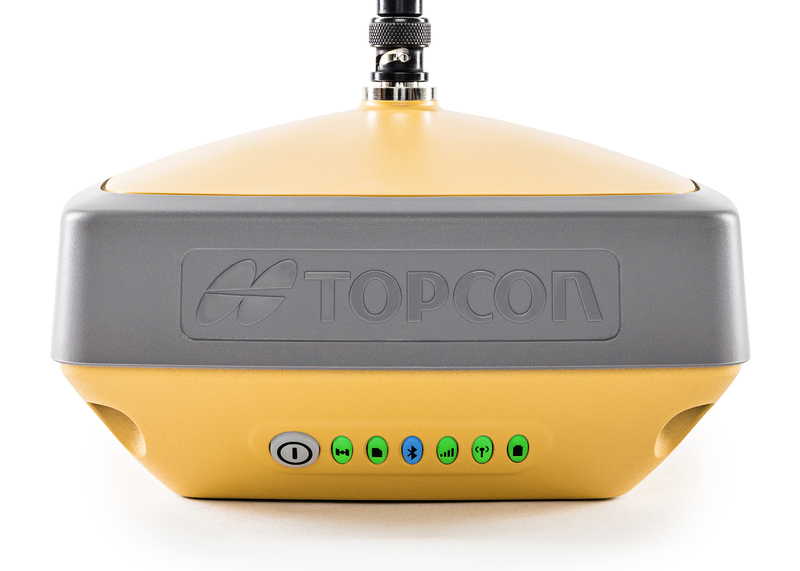 Using Topcon’s advanced GNSS chipset with Universal Tracking Channels Technology, the HiPer VR automatically tracks every satellite signal above – now and into the future. The HiPer VR is a complete solution and versatile in many ways. It can be used for static or kinematic GNSS post-processed surveys, as a network RTK rover with the FC-5000’s internal 4G/LTE cellular modem, as a UHF/FH/Longlink jobsite RTK rover, and also in Topcon’s patented Hybrid Positioning workflow. Use of external 12V battery is recommended when using HiPer VR with internal radio in transmit mode. Drop and Topple: 1.0 m drop to concrete. 2.0 m pole drop to concrete.